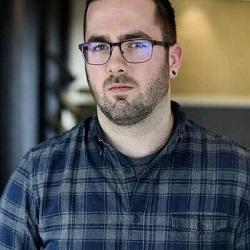 Yonathan Klijnsma is a threat researcher at RiskIQ, leading threat response and analysis efforts with the help of RiskIQ’s expansive data set. Both his work and hobbies focus on threat intelligence in the form of profiling threat actors as well as analyzing and taking apart the means by which digital crime groups work. Outside of work Yonathan likes taking things apart and figuring out how they work; be it physical devices or digital like malware or ransomware. He is a regular presenter at industry conferences such as DEF CON and is quoted in Wired, Fox News, C|NET, and Krebs on Security to name a few. In this episode we discuss his start in information security, his current security research, Magecart, web application security, website asset management, supply chain security, and so much more.